Okay! So! We had our first Dinofarm Alakaram work-session last week, a full day of chatting, programming, designing, painting, and ARGUING! And eventually we came to this conclusion: Alakaram should be a pretty huge game, with a big elaborate Auro Quest Expansion style metagame, lots of stuff to collect, multiple game modes, and more. Then the next day, Nick was like, wait! We don’t have the resources to do that! And we were like “oh, yeah!” So for now, we’re going to shoot for a much smaller goal, and we can shoot for the huge stuff later on if this all goes well. Smaller Goal – “Spellbook Runs”? When we first started this thing, we were like, can we just re-make Auro with a better app and a better theme? Because we think the gameplay of Auro is super strong. So when we decided to do a “smaller version” of Alakaram, that was the first natural starting place. But… maybe there’s a low cost thing we can do that creates some semblance of a metagame. So here’s what we came up with, for a small, mini-quest mode thing. The objective of a match in Alakaram is to reach the end of a linear level (we’ll tune abilities so that Jump isn’t the best spell, don’t worry) and bump a big bell which clears out all the (remaining) ghosts. Somewhere in that level is also a “spellbook” item (or two) that you can pick up (it might be a little tricky to get to it). At the end of each level, each spellbook you collected allows you to pick one from a list of passive abilities. Then, you go onto the next “match”. There are 6 matches total in an entire “game”, and every other match, a new “Curse” is added to each successive island. Some curses make Rats ignore the first attack they take. Some curses make Liches have +1 range. One curse turns Tricksters into a super Trickster/Lord Vargas combo! These curses stack and add up over time, so you have some idea of what you’re up against and can slightly “build” toward that using the spellbook passives. It’s light, no doubt, but it should be just enough to provide a little bit more of a “long arc” experience. I think we’ll also have the classic Auro Play Mode (single-player Elo) as well. We could (maybe!) even have a single player Elo added to the mini quest mode? We’ll see! Anyway, that’s it for now. We’re feeling really good about things. We think this is a really doable objective, and we already have a lot of pre-vis work done from our initial time trying to make Alakaram. One thing, before you go! We could really use your help. 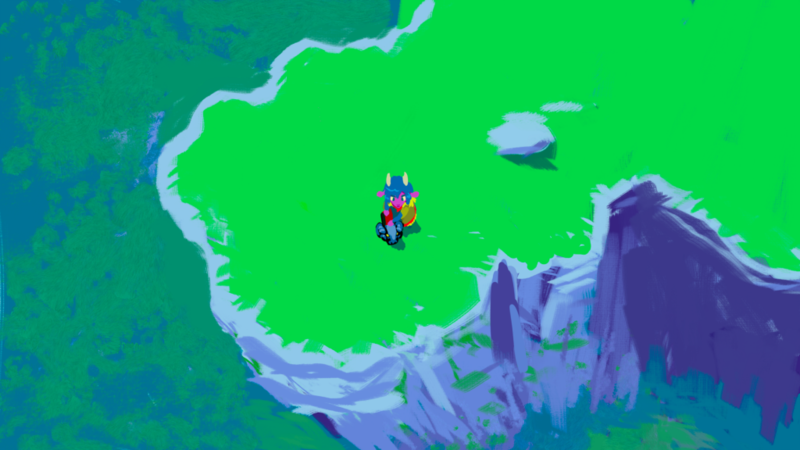 If you want to see a nice, well-programmed version of Auro with this new feature come to pass, please consider becoming a Patron on Patreon.com. We’re going to have a lot more Patron-only content in the future, too. We really appreciate it!